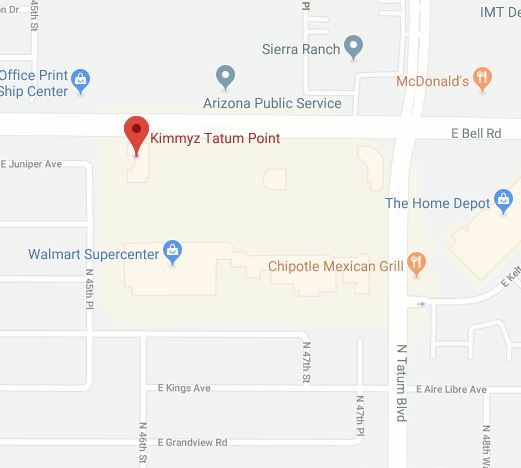 Great food, high-quality beer, college football, live entertainment, paint night, and more – Kimmyz Tatum Point is the best sports bar in Phoenix, Arizona. Tatum Point offers a variety of wonderful elements, giving you a high-quality neighborhood bar & grill experience that Phoenix offers. Come to Kimmyz Tatum Point location for great food, high-quality beer, paint night, service, and live music. Are you in Glendale? Visit our Glendale location today! From the best draft to craft beer, enjoy Kimmyz wide selection of high-quality beer and much, much more! Kimmyz offers the best in live music in Phoenix! Featuring acts such as Crown Kings, Mogollon, Michael Nitro, and More! Awesome place to enjoy watching sports and enjoying a cold one. Kimmy has a great crew of friendly staff. Their menu is full yummy stuff! Our favorite is Carrie who works Saturday and Sunday days along with Monday and Tuesday nights. They often have live music on the weekends.